There are 4 reviews of L.12.12 Jaune / Yellow. Bright citrus in the opening and then a sweetened, vetiver-like accord in the drydown. Must be the cypress note. Good sillage while it lasts, gets noticed as it is a very "bright" scent...matches the bottle. Not as creamy or sweet as Chanel Allure Homme Blanche, but it is similar in certain ways. Got a compliment, unsolicited, from the wife after I put it on in the morning. I think she liked how pleasant and fresh it smelled. The opening here is a zesty lemon, very nice actually. As it dries I get wafts a light leather note. I dig. It dries down to Lacoste Blanc pretty much. It reminds me of a cross between True Religion, Lacoste Blanc, and Clinique Happy for Men. I paid like a buck 50 for a .27 oz mini bottle. No complaints. This is like a cheaper version of Chanel Allure Homme Edition Blanche, but without the creaminess. I really like the scent, but it has poor longevity. I wore this a lot until I bought Edition Blanche. Whew! Extremely sweet and cloying upon first spray, made me run around a bit to help it fade. 15-20 minutes later, there are definite green notes that calm it way down and smooth it out considerably. An hour or so later it mellows into a sort of fruity/green scent that reminds me of sour apple candy. Longevity is not that good, I get 3-4 hours tops before a spritz is needed. I like it, but the opening is extreme and might not be for everyone. 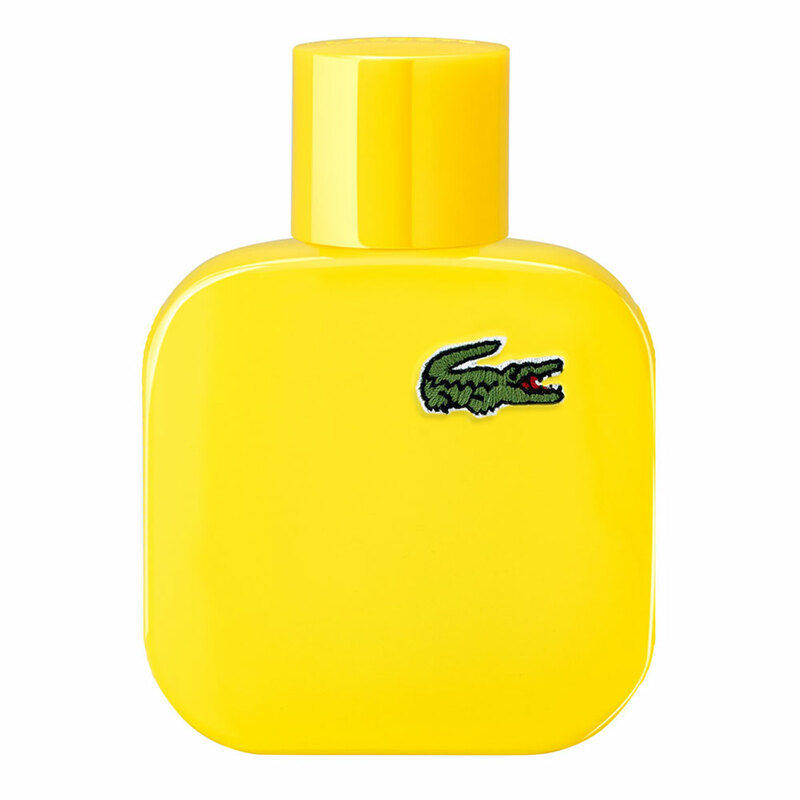 Lacoste Men's Eau de Lacoste Men's L.12.12 Yellow Eau de Toilette Spray, 3.3 oz. There are no member images of L.12.12 Jaune / Yellow yet. Why not be the first?